Ahhh, ice-cream. Who can live without em? They are the perfect stress-buster, the perfect cool-me-down treat, the perfect dessert. With so many different ice-cream parlour in Klang Valley (Baskin Robbins, Haagan Daas, New Zealand Natural....just to name a few), picking out an ice-cream parlour for desserts becomes an arduous task, cause admit it, ice-cream will always taste good regardless which parlour you go to and you know you shouldn't have too much ice-cream so going to all of em is out. To me deciding on an ice-cream place is easy. 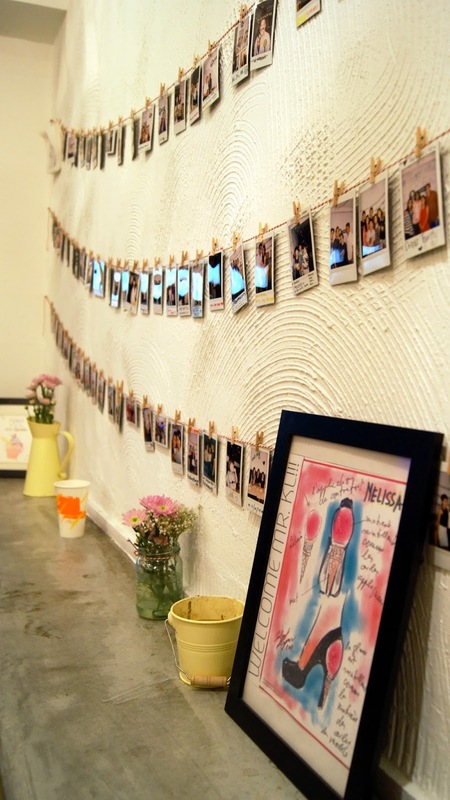 Introducing my favourite ice-cream place: INSIDE SCOOP @ Bangsar Telawi! 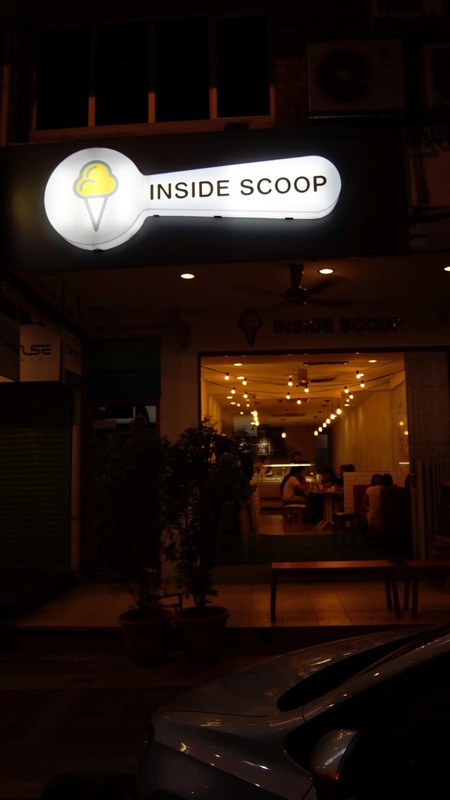 Located at the busiest street of Bangsar Telawi (Just next to NOSH & Dip n Dip), Inside Scoop is currently one of the latest fad in Bangsar. 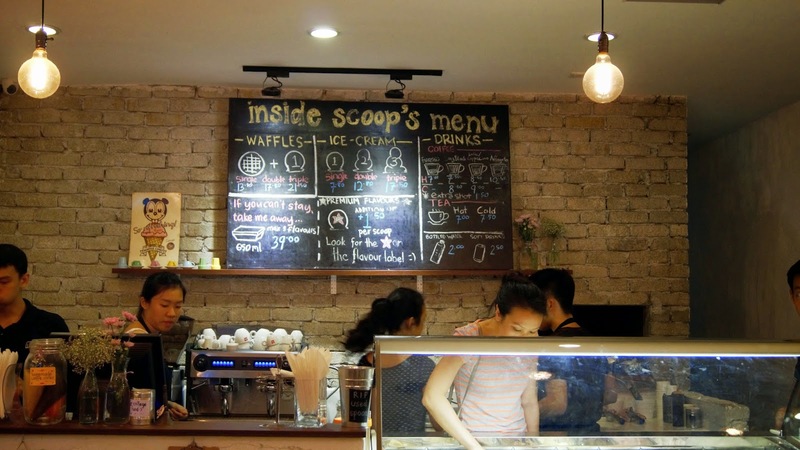 Customers of all walk of life, regardless of their age were seen flooding into Inside Scoop even on a weekday night. 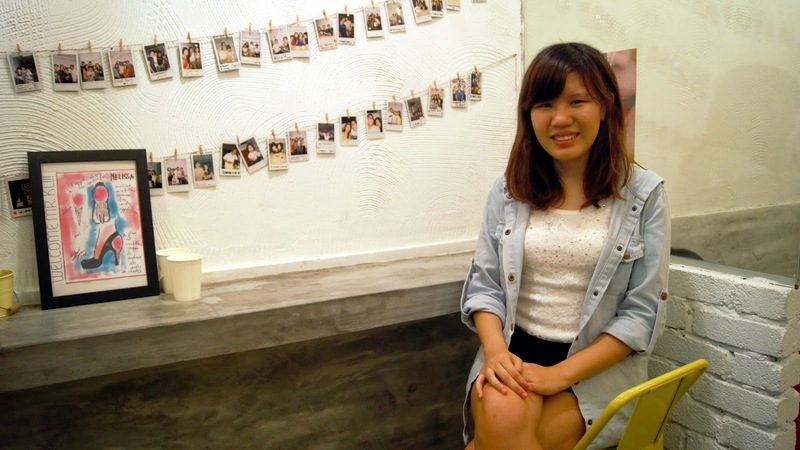 Inside Scoop's menu and the friendly staffs behind the counter. 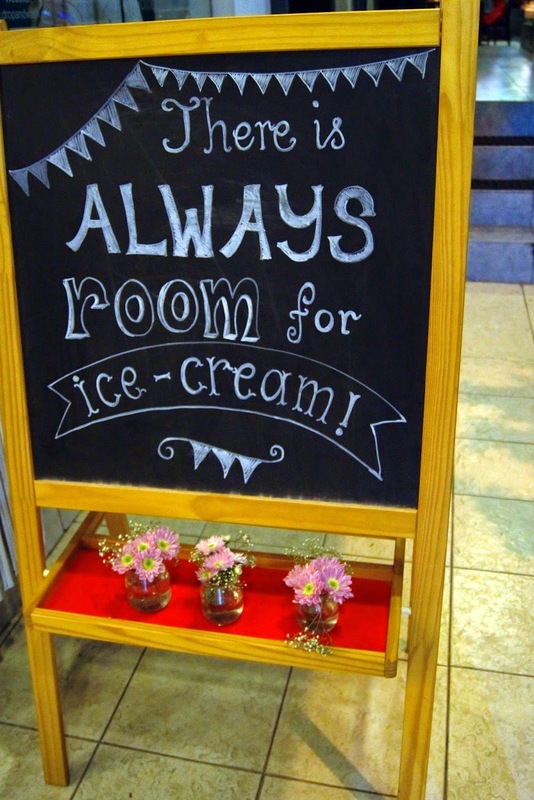 Customers can opt to have 1 scoop, or 2 scoop, or 3 scoop, depending on their mood, in either cups or waffle cones, or even with waffles! After considering and pondering for a while (and also having samples after samples), we decided to settle for two scoops of ice-cream (Valhorna Chocolate & XO Cranberry) in a cup (RM12.80). 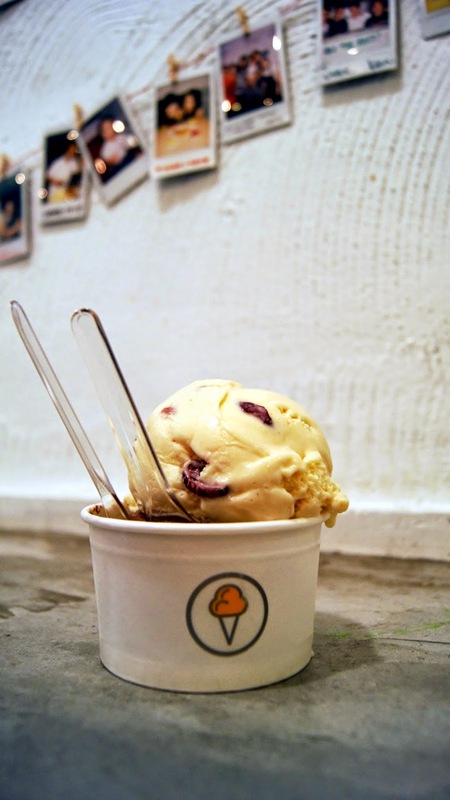 We had to top up an additional RM1.50 for each premium flavour scoop so our bill totalled up to RM15.80. The Valhorna Chocolate was to die-for. Rich in chocolate taste, without being overly cloying, with a hint of bitterness from the cocoa and a sweetness that was just alright. The texture? Smooth and creamy, just how a good ice-cream should be. XO Cranberry on the other hand, had a slightly sweeter taste which was still acceptable and a sourish aftertaste. The sweet cranberries were infused with alcohol so be careful not to chew a few of em at a go! A must-try for alcohol lover. Had this during my first visit some time ago. Didn't blog about I didn't have my camera with me at that time. Word of advice YOU HAVE TO TRY THIS! Drizzled with chocolate sauce & dusted with icing sugar, the waffle was so crispy on the outside, soft & airy on the inside. 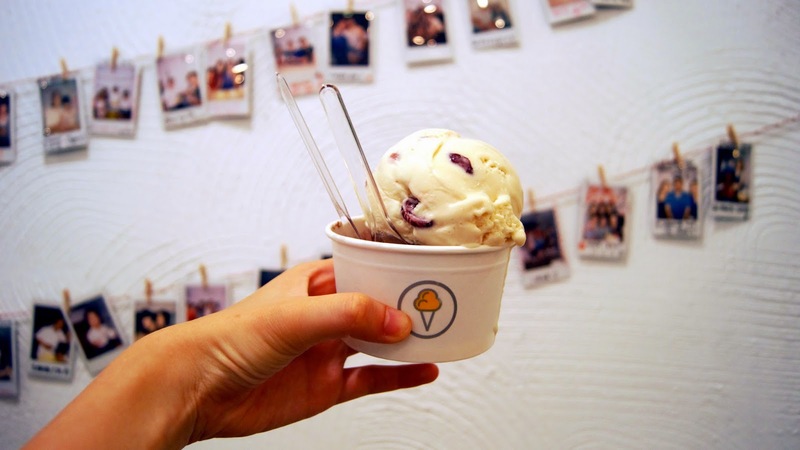 It was a perfect companion to Inside Scoop's creamy ice-cream. The perfect marriage between ice-cream and waffle. The end.